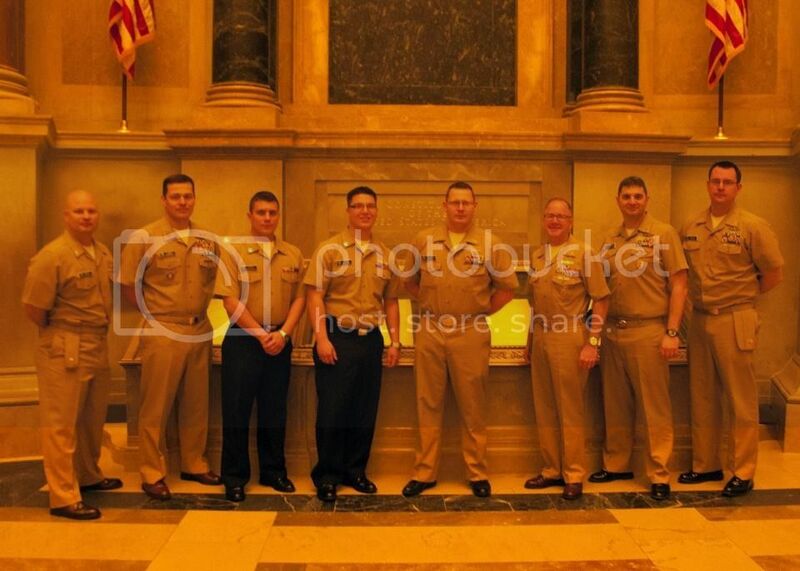 So, in the last few weeks I have reenlisted two Sailors in the National Archives directly in front of the Constitution. The Security Director is a veteran and has let us in about 30 minutes before they opened and let us enter the rotunda, do the ceremony and take some pictures before the doors open to the public. I don't want to post the number publicly but if anyone in the DC area wants it or is interested ... send me a PM and I will get it to you. Incredibly cool! It's a fight to get close enough to read the three documents in that room. I can't think of a better place for a reenlistment. yoshi wrote: Incredibly cool! It's a fight to get close enough to read the three documents in that room. I can't think of a better place for a reenlistment. Yeah ... having the run of the rotunda for 30 minutes was awesome. I was able to look at the documents and take my time to read them ... the originals. Photo isn't loading for me, p.s. Hello, is there anyway you can shoot me that guy's number. I misplaced his number sometime ago and have a sailor interested in reenlisting there. Thanks in advance.